To figure out some life goals and direction, think about what you need in your life. Now compare those to what you have in your life. 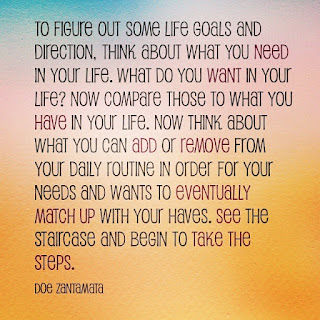 Now think about what you can add or remove from your daily routine in order for your needs and wants to eventually match up with your haves. 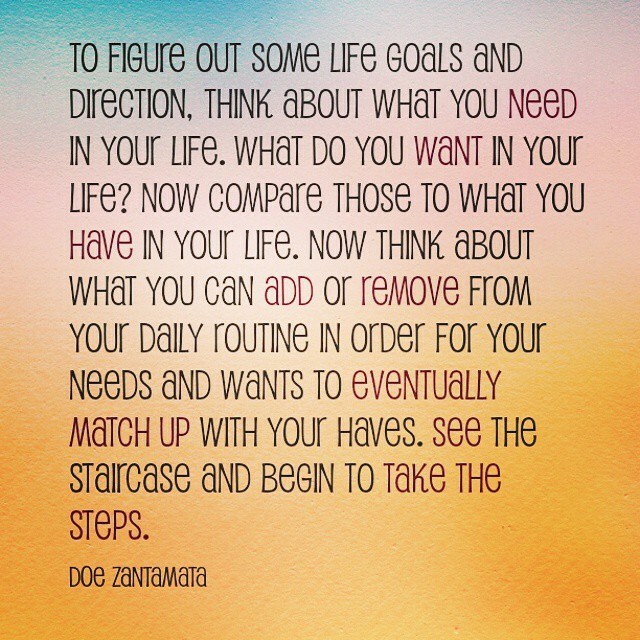 See the staircase and begin to take the steps.